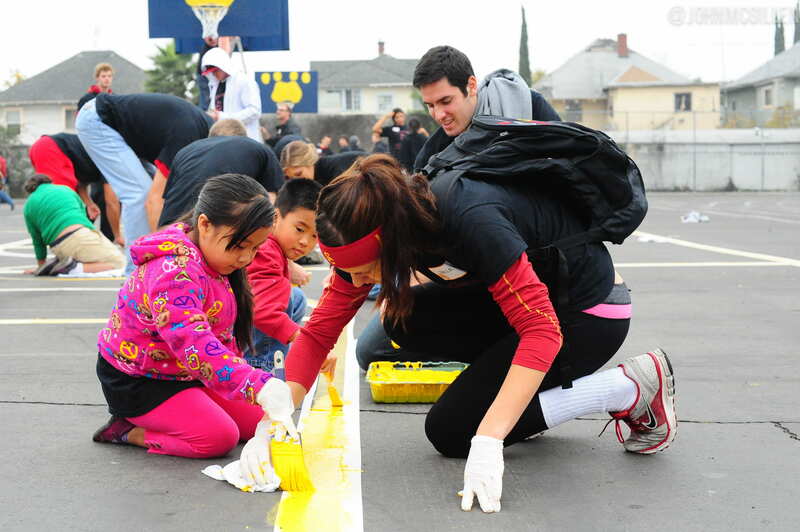 Service learning has always been part and parcel to USC’s strong culture of community service. Service-learning courses not only benefit the community, but also give students a chance to explore the applications of their scholarship at first hand. Service learning really came into its own at USC in 1972, when the university’s Joint Educational Project (JEP) was formed. JEP is now one of the oldest and largest service-learning programs in the United States. Today, the USC Dana and David Dornsife College of Letters, Arts and Sciences and all of the university’s professional schools offer opportunities for service learning, either for credit or on a non-credit volunteer basis. About half of USC’s undergraduates volunteer in the community, and some 1,700 undertake service projects as part of their coursework.